Did you know it is estimated that there are 20,000 commercial propane mowers in operation today in the U.S.? According to research done by the Propane Education and Research Council (PERC), in the last few years the number of contractors, landscaping companies, and golf courses utilizing propane to power their fleet has increased significantly. There are now 14 original engine manufacturers (OEM) that produce approximately 150 propane mower models and four aftermarket conversion kit manufacturers, making the switch to a propane powered commercial mower easier than ever! Many landscaping fleets, both large and small, have already started to take advantage of the benefits propane can provide them. One Virginia based U.S. Lawn franchise wanted to find a way to reduce their carbon footprint and propane provided the answer. Owners, Steve and Treana Ferguson, have seen a 15% reduction in their greenhouse gas emissions and a 40% decrease in their carbon monoxide emissions when compared to a gasoline powered model. They’ve also seen 50% cost savings after switching to propane. 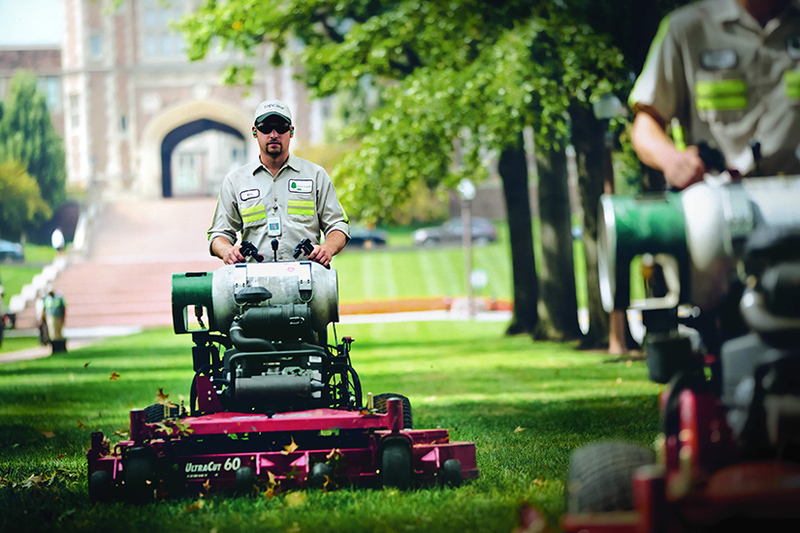 The University of Louisville’s Grounds Services Department has a similar story: their goal was emissions reductions and they found propane was the only fuel that could provide the most reductions for their dollar. 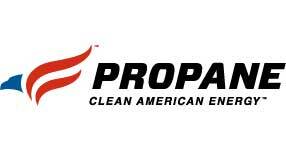 In addition, they’ve been saving an average of $2,000 annually with propane. The emission reductions are a big plus when considering a switch to propane commercial mowers, but, they are not the only benefit. These mowers also cost 30% less per hour to operate than gasoline, require less engine maintenance, and the closed-loop fuel system eliminates almost all opportunity for spills or fuel theft. Many propane retailers will assist in constructing on-site infrastructure or provide a cylinder refill program which eliminates the time and cost associated with going to a gas station to refuel.